I admit it. I’m a creative. But if forced to choose between creativity and clarity, I choose clarity. We’ve all been there. A television commercial ends, we turn to our partner and ask “what was that?? ?” Most likely, it was an agency’s effort to prove how outrageous they can be—to impress their colleagues—to secure their next Clio—to become the next A-List agency. It may have had little to do with selling the product. I work in B2B. I develop brands, launch products, and develop marketing promotions for technology and medical device companies who are serious about what they do. My clients are trying to sell their offerings to people who are serious about what they do. They’re not selling beer, or insurance, or fried chicken—where everybody understands what the product is so we all get to be irreverent for 30 seconds. To me, creativity is finding a way to clearly communicate to the customer that you understand their pain. Creativity is clearly presenting a complex product or service in a way that the customer can understand the value being offered. Creativity is clearly identifying a position for the company or product that is meaningful to the customer. You can have both creativity and clarity. 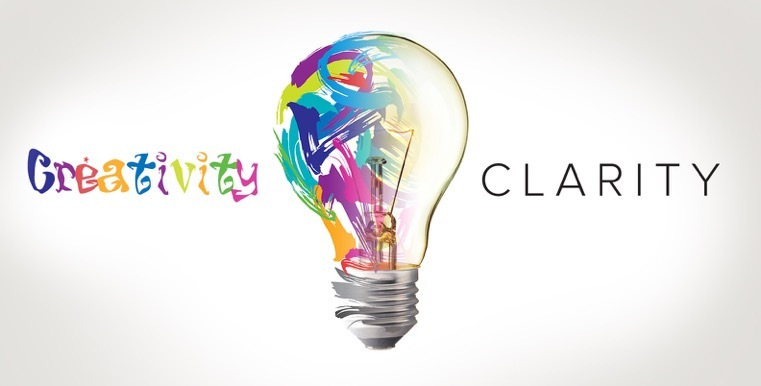 You can even brand it claritivity. Just don’t get so lost in being creative that you lose sight of the important story you need to tell.